It is a tool used by nutritionists and certain institutes to assess and plan nutritional diets and nutrient intakes for healthy individuals. 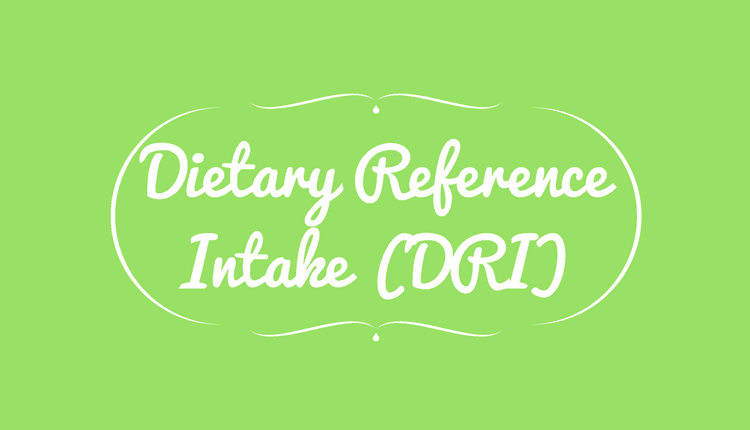 The Recommended Dietary Allowance or RDA is the intake levels of essential nutrients, such as, vitamins and minerals, that are based on scientific knowledge to meet the nutrient requirements of healthy individuals. It is judged by the Food and Nutrition Board and was first published in the year 1943 during World War II. The objective of RDA is to provide standards that serve as a target for good nutrition. The RDA for nutrients among different age groups is different. The Adequate Intake is the daily average nutrient intake level. It is based on approximations of mean nutrient intake level by a group of healthy people. In other words, the average nutrient intake of healthy people is assumed to be adequate for the population’s requirement. An Adequate Intake is established when there is no sufficient science-based evidence to determine an Estimated Average Requirement (EAR). With the help of Adequate Intake values, individuals can meet their nutrient needs, which is required to maintain good health status, proper growth, and development and overall nutritional well-being. Thus, the Adequate Intake acts as a guide for people to understand their approximate daily nutrient needs and to prevent the onset of nutrient deficiencies. Tolerable Upper Intake Level is defined as the highest level of nutrient intake that does not increase the risk of adverse health effects to almost all individuals in the general population. If the nutrient intake increases above the Tolerable Upper Intake Level or UL, the risk of ill-effects on the human body may also increase. In fact, the term’ tolerable intake’ itself indicates that any nutrient intake that crosses this level can pose a risk to the human health. Any intake within this limit can be ‘tolerated’ biologically. The purpose of the UL is not as same as the recommended level of intake. Estimated Average Requirement is a value of the nutrient intake, which is estimated to meet the requirement of 50% of the healthy individuals in a group.